• Twin Tower Office and Retail Development. $15.75 million. • Six storey 3,500 square metre Corporate Office and Residential Complex. $5.25 million. • Two storey 1,600 square metre Office Complex, $2.25 million. • Five storey 12,000 square metre Commercial Office. $12.75 million. • Construction inspection of a seven-storey 8,000 square metre Office Building and Single Storey Restaurant. $6.0 million. • Corporate Office and Residence. $0.75 million. • Sixteen storey 16,000 square metre Office Building. $30.0 million. • Four storey 18,000 square metre Corporate Headquarters. $39.0 million. 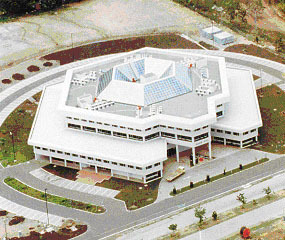 • Two storey 3,000 square metre Office Complex. $4.5 million. 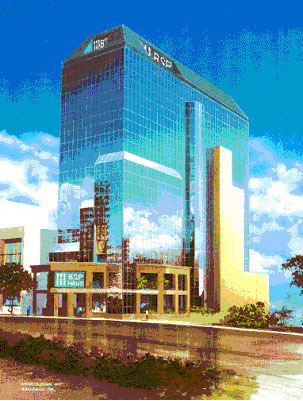 • Commercial offices, retail complex, Public Offices, Assembly Buildings, and Courthouse Precinct. $15.75 million. 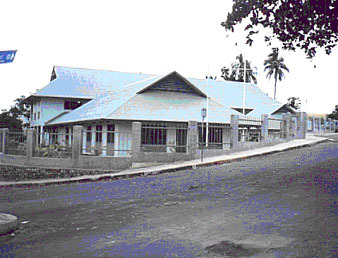 • Solomon Island Government Central Offices development consisting of a gross floor area 60,000 square metres in five three and four storey office buildings including a convention facility to service the country's public service. $90.0 million. • Twelve-storey 25,000 square metre office complex. $40.5 million. • Three storey 4,000 square metre office building $5.25 million. • Assembly building comprising Assembly Chamber, Public Gallery, and offices $6.075 million. 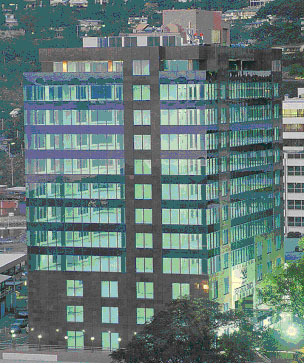 • Three-storey Malaysian High Commission Embassy Complex, Port Moresby, Construction Cost Estimate, Cost Estimates. $3.0 million. • Two Storey 1,060 square metre Office Complex $1.65 million. • Five Storey Headquarters Office. $7.0 Million. • Two storey Office Building, $3.0 million. 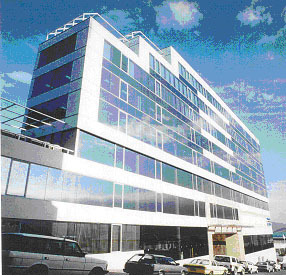 • Six Storey Office Tower Complex including refurbishment of existing 4 level Building. $8.0 Million. • Six Storey 5,500 square metre Office and Retail Complex $7.5 million. • Twelve storey 10,000 square metre Office Complex $15.0 Million. • Four storey 8,000 square metre Headquarters Complex $12.75 million. • Twelve storey 12,000 square metre Office Complex $37.5 million. 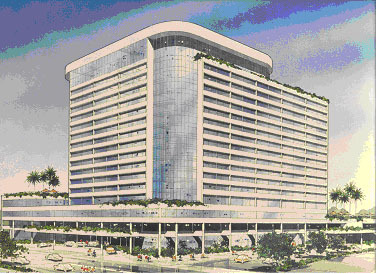 • Six storey 20,000 square metre Office and Retail Building. $24.0 million. • New tenancy fitout including construction of 15 speciality shops. $0.75 million. • Design of additions and alternations to shopping. $90,000.00. • Design of Kiosk. $90,000.00. • Contract supervision and construction inspection of a single storey supermarket, liquor outlet and fast food outlet. $300,000.00. • 6,500 square metre, two-storey Commercial Shopping $8.0 million. • Tenancy layout on behalf of ANZ Banking Group. $0.75 million. • 20 room two-storey motel. $2.3 million. • Hotel Resort. 300 room 5-star hotel, six hundred townhouse village condominium, eighteen hole championship golf course, marina, harbour and wharf facilities. Consultant providing technical and design services, construction measurement, cost monitoring, programming, quality control and contract administration. USD 300 million. itoring, programming, quality control and contract administration. USD 300 million. • Four townhouses $1.2 million. • 9 townhouses $1.5 million. • 28-unit apartment building. $4.5 million. • Construction inspection of a thirteen storey, 26-unit apartment building. $7.5 million. • Design of swimming pool and additions and alterations to apartments. $75,000.00. • Design of swimming pool at apartments. $75,000.00. • Design of three townhouses. $450,000.00. • Twenty-seven storey residential and commercial development Preparation of brief, concept, provisional documentation, detailed documentation and tender evaluation $82.5 million. • 27 townhouses, $0.45 million. • Preliminary design of five, five storey apartment buildings. $5.0 million. • Twelve storey 30 unit residential complex. $16.5 million. • 49 unit residential complex. $18.75 million. • 600 unit Residential Development. $52.5 million. • Three level, four-bedroom luxury Apartments. $1.5 million. • 10,000 square metre biscuit factory. $3.75 million. • Office and bond store. $0.975 million. • Single storey Commercial Freezer and Cold. $2.25 million. • Design of two-storey steel framed warehouse. $150,000.00. • Design of machine shop. $90,000.00. • Design and construction Management, Brewery A$6.5 million. • Design heavy equipment workshop, A$0.5 million. • Installation of Afterburner to Printing Press, A$ 0.3 million. • Design of slabs to carry heavy printing equipment including printer lines and dye cutters, A$6.5 million. 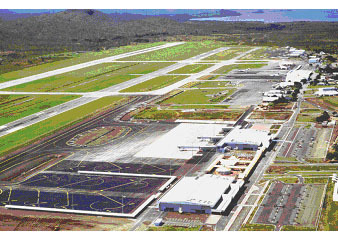 • International and Domestic Terminals at the Port Moresby International Airport at Jackson’s Aerodrome. Preparation of pre-qualification documents, specification and contract documents $156.0 million. 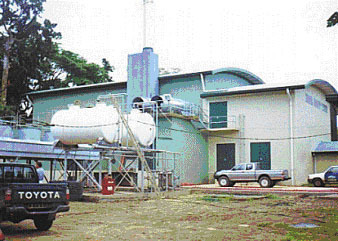 • Main Wharf Container hardstand and Bulk Store Upgrade, Solomon Islands. • Headquarters, Television and Radio Complex. $31.5 million. • 3,000 square metre, Single Storey International and Domestic airport terminal building at Port Vila's Bauerfield Airport. $7.2 million. • 4,000 square metre, single storey International and Domestic passenger airport and cargo terminal building at Henderson Airport. $8.25 million. 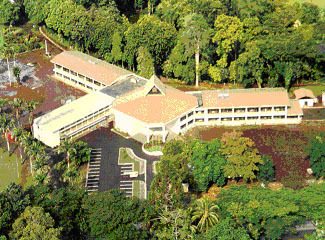 • Three Storey General 500 bed ward, casualty, O & G ward and mortuary Port Moresby. Design check, preparation of Contract Specification, Documentation, Bill of Quantities, Specification, Sub-Contract Tender negotiations, Construction Supervision and Inspection, $45.0 million. 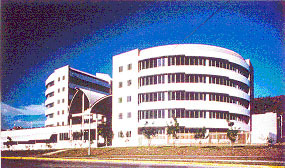 • 90 Bed District Hospital $5.1 million. • New single storey Science Block for a High School including 4 laboratories and associated stores and offices. $0.975 million. • Two-storey Forest Research Institute. Checking of documents produced by a Japanese consultant, preparation of mechanical and electrical drawings, liaison with the Government, construction contract. Preparation of main sub-contract documents and specification for the contractor. $21.0 million. • Design of two-storey Ablution and storage building at a Primary School. $90,000. • Design of library extension at a Primary School. $75,000.00. 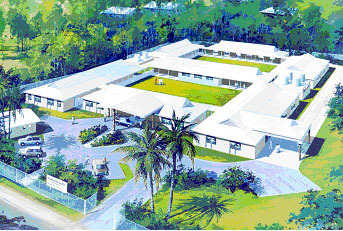 • 100 bed Regional Hospital at Suva, Fiji. $41.25 million. 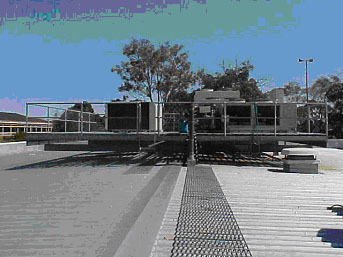 • Structural design of steel three bay portals with varying roof slopes for a Public Hall. Cost: $500,000.00. • Design and construction supervision on sub-contract basis of a two storey reinforced concrete Amenities Building. Cost: $159,000.00. • Historic Town Hall strengthening of first storey timber framed floor to carry gymnasium loads. Design of steel substructure to floor. Cost: $32,000.00. • Resident Parking Scheme; responsible for the investigation, initiation and management of the scheme. • Pavement structural design at Industrial subdivision. $1,250,000.00. • Merton Street, Rozelle, full width road reconstruction and drainage construction. 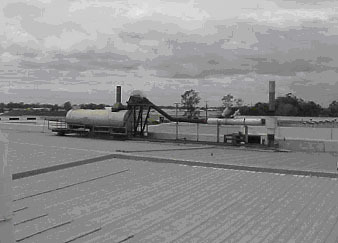 Design and construction of flexible road pavement (300 m). • Taylor Street, Glebe, road widening (6 m). Design and construction supervision of rigid road pavement (100 m) and drainage. • Responsible for the design and construction of numerous road reconstruction’s and associated stormwater drainage for roads varying between 60 and 250 m in length. • 1100 allotment subdivision. $10.5 million. • Arbitration of Contractual $3.0 million Building Contract dispute between Kumagai Gumi Co. Ltd and the Fiji National Provident Fund. 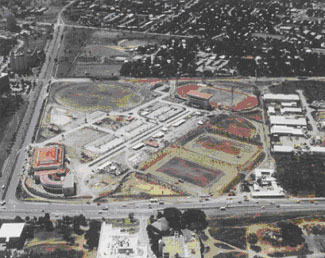 Award decision handed down August 1997. • Expert Witness Building Damage due to differential Settlement by adjoining building development, October 2000. • Plaintiff Principal Professional Adviser Litigation involving Professional Negligence, January 1995 – 2000. • Arbitrator appointed by the High Court of Vanuatu , Contractual Dispute, 1992. • Wharf, Slipway and Container Terminal. $22.5 million. Obtain all preliminary approvals and preparation Environmental Plan Assessment. • Harbour marina reclamation Environmental Impact Assessment. $7.5 Million. • New city precinct including commercial retail and office, residential, and marina complex $250.0 million. • Hambledon Gardens Estate Cairns, 1500 block subdivision. Concept planning, detailed design and design review of asphalt roads, stormwater drainage, sewer and water reticulation, traffic management devices, electrical reticulation, lighting and management of traffic studies. Supervision of design team and sub-consultants. Client liaison, project scheduling, estimating, tender procurement and evaluation, contract administration, construction verification and certification. • Timberlea Estate Cairns, 800 block subdivision. • Design and construction of rural roads project funded by the European Union in the Republic of Vanuatu. • Project Management of Construction of two secondary school upgrade to senior secondary in Efate Vanuatu (VESSEP project) for AusAID. 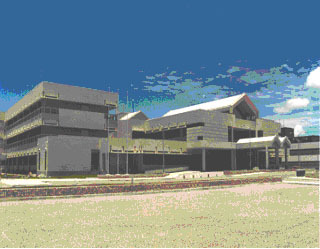 • Design and Construction of Police HQ building at Port Vila Vanuatu for the Australian Defence Force. • Design and Supervision of Industrial Tax Free Zone in Suva Fiji for the European Union. 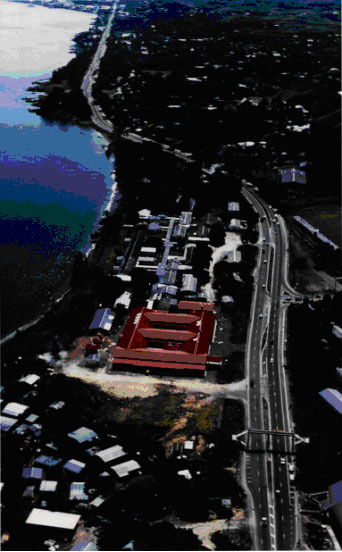 • Construction Supervision of Santo Wharf Vanuatu for ADB. 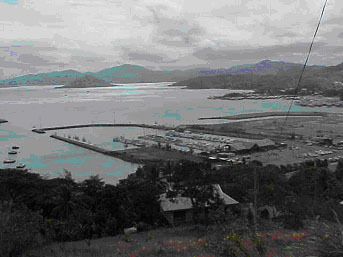 • 300-berth marina. $3.75 million. • Regional Sports Complex. Project Management during construction phase of new grandstand and all weather athletics track, indoor complex and administration building, and site works. $22.5 million. 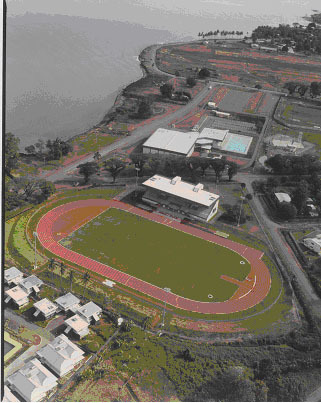 • Morobe Sports Complex, indoor auditorium, grandstand and athletic track, Olympic class swimming pool for Government of Papua New Guinea. $24.0 million. • Design of Gymnasium for High School. $300,000.00. • 40,000 seat stadium at Hanoi for the Socialist Republic of Vietnam. 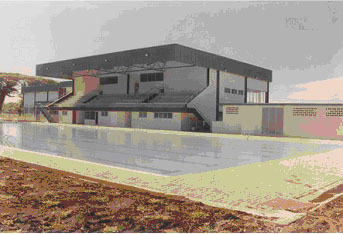 • Multipurpose Sports Complex. $15.0 Million. 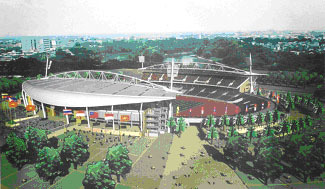 • Proposed redevelopment of Sports Institute, including an international standard track and field oval, grandstand, indoor sports gymnasium, outdoor fields, Olympic swimming pool and Hostel. $8.25 million. • Cultural Heritage and Resource Centre. $10.75 Million. • 200 room 4 Star Hotel. $75.0 million. • 90 room Motel. $6.0 million. • Resort Hotel and 18 hole international championship golf course. $60.0 million. • Twenty storey 288 room 5-star luxury Hotel and Retail Development. $105.0 million. • Tahara Hyatt Hotel, Tahiti. 200 room extension, Administration and Public Area upgrade, existing 200 rooms refurbishment. USD 43.0 million. • Tahiti Beachcomber Hotel, Tahiti. Additional 25 overwater bures, 100 guest rooms, upgrade of public and administration areas, new sports complex, convention centre, and restaurant and managers unit. USD 41.0 million. • Two hundred bure room hotel, administration and facility buildings on Bora Bora Island, Tahiti. USD 20.0 million. • Moorea Beachcomber Parkroyal Hotel, Tahiti. 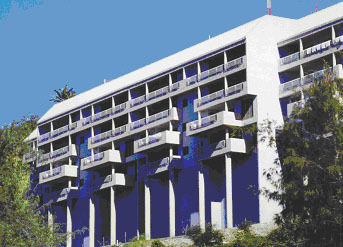 Major upgrade of 154-room resort hotel completed in 1986 to substandard specification. USD 16.0 million. • Tiare Beach Resort, New Caledonia. Two three hundred room resort hotels, eighteen hole championship golf course, marina, 200 condominiums, village, yacht club, health centre. USD 275.0 million. • Seven Storey Club, Office and Motel. $7.5 million. • Two-storey hotel redevelopment. $3.75 million. • 200 room Resort Hotel, USD 52 million. • Two-storey, 30 room Hotel redevelopment. $3.375 million. • Cost estimation of Hotel redevelopment, including sixty new rooms, entertainment areas, car parking and sports facilities. $7.5 million.